Patriot Games was born out of chance, when the Patriot Campers team took a videographer on an R&D trips to Cape York. When they returned from the trip, the team discovered that the content they had gathered was more than informative, it was entertaining. With the crew now busy filming the third season, people all over the world now gather to watch Justin, Sarah and the rest of the crew put their Camper Trailers and Supertourers to the ultimate test at breathtaking four wheel drive destinations both in Australia and Internationally. Watch the crew explore in epic convoys, with Season 1 and 2 available now on YouTube. 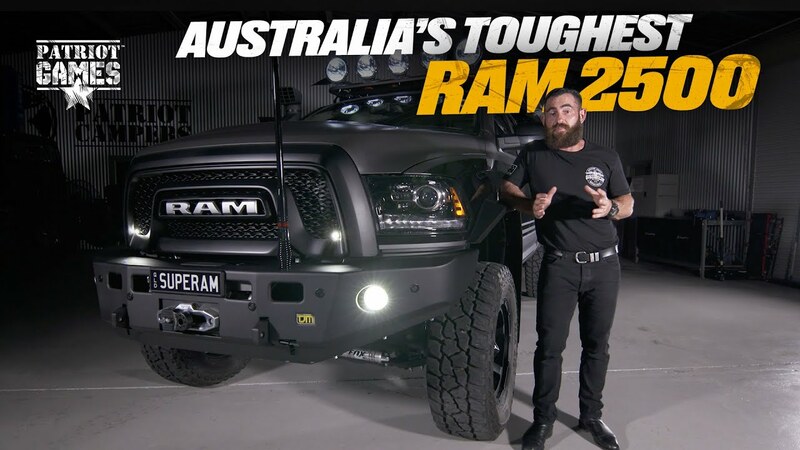 Season 2 has made it to YouTube and we’re kicking off the series with a build that dwarfs even the mighty Megatourer. 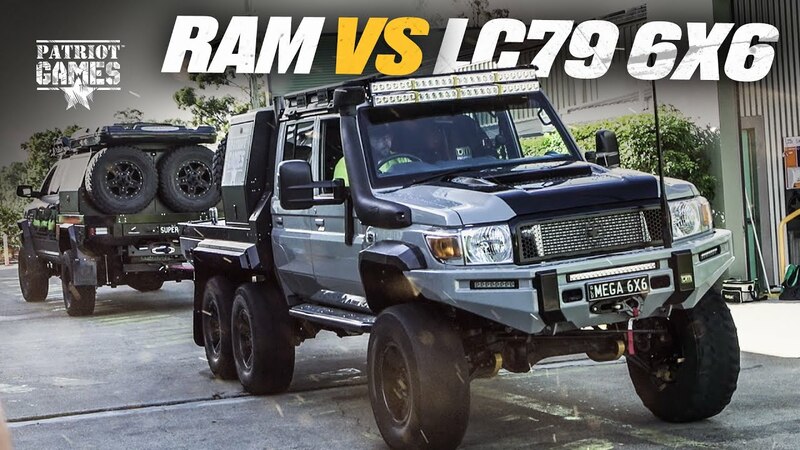 Watch the boys scramble to build the next big thing in Australian overlanding! Justin, Bobby and the twins have their sights set on the Red Bull Dinghy Derby. 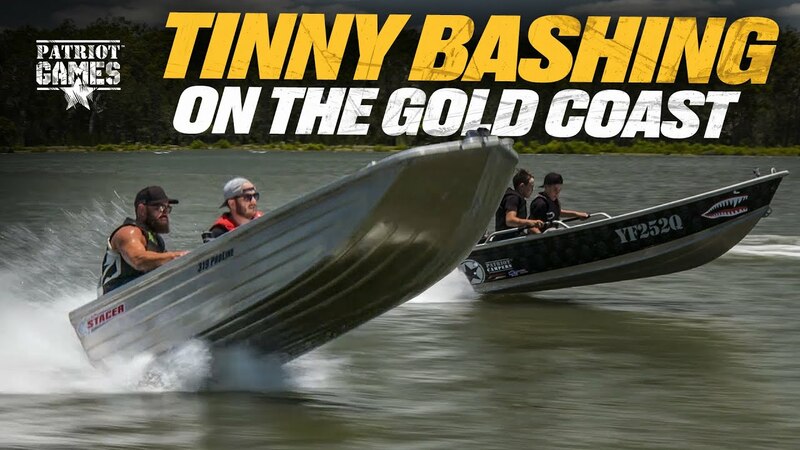 Watch them get their tinny race-ready and see their wet and wild journey to Renmark. The Mega6 is sliding all over the road on the way to the Redbull Dinghy Derby with the huge Toy Hauler attached. The mud and the rain aren't letting up. This trip was always destined to be soaking wet, but this is getting dangerous! Loading Up is a webisode series that was created to answer a flood of questions we receive every time a new episode of Patriot Games goes to air. Questions range from the gear that we use, the setups we prefer and the items that we pack for the extreme overlanding trips that we're known for. Justin has relinquished his Friday afternoons to us, so that he can answer those burning questions and explain some of the intricacies of Patriot Campers and PCOR builds to Patriot Games YouTube subscribers. A new webisode launches every Friday, subscribe now so you don't miss out! Justin’s reputation in the industry is notorious for the toys that he designs, manufacturers and then on the weekends - plays with. The controversy he creates when testing his own gear has done wonders for Patriot Campers’ success but in reality he is a family focused man who builds a high-quality product that people want. Those that understand this unique perspective see Justin and the team at Patriot Campers as influencers and the long-standing relationships he has built up show sincere credibility and endorsement when building these big boy’s toys. Sarah lives and breathes the Patriot Campers lifestyle, she’s even one of the sales team. Wherever Justin goes, no matter how crazy, Sarah’s there. Sarah and Justin started Patriot Campers four years ago and every time she sells a trailer she brings someone else into the family. Passionate is an understatement! The kids are an integral part of Patriot Games...and Patriot Campers. Every school holidays the twins are in the workshop building custom trailers and helping out with massive builds like the Megatourer. Mia’s adventure-girl. She doesn’t shy away from anything and loves following her dad into the wild and the scary! Nothing phases her and she’s one of the boys. Justin’s dad Rob accompanied the team on the Cape York RnD trip and is a very proud dad. Rob introduced the camping lifestyle to his family early on but in season one of Patriot Games Justin takes Rob to places he’s never been before and reawakened his adventurous spirit. A second generation manufacturer, Rob taught his sons trades and inspired businesses like Patriot Campers. Matty is Justin’s best mate and is always up for a trip with the Patriot boys. He knows just how to push Justin’s buttons but he’s terrified of heights which doesn’t bode well for the big man. He’s calculated and cautious and doesn’t care who makes fun of him about it! Justin’s brother Chase is the youngest of the Patriot boys and he’s a classic youngest sibling. He’s always got something to prove and anything his older brothers do, he can do better! He’s an angry dude and isn’t afraid to prove a point to the rest of the boys...even at the expense of his gear. Tommy is one of Justin’s best mates and leads up the Patriot Campers sales team. Resident larrikin, Tommy keeps the whole RnD trip laughing and keeps Justin on at 60% to make it home! Ever since the RnD trip To the Top, “You’re better than that Tommy” has become the call at Patriot Campers!